This zigni berbere recipe, a spicy Eritrean beef stew, is a feast for the senses. The berbere spice mix adds huge depth of flavour, thanks to its heady combination of aromatic spices such as cinnamon, cumin, cardamom and fenugreek. 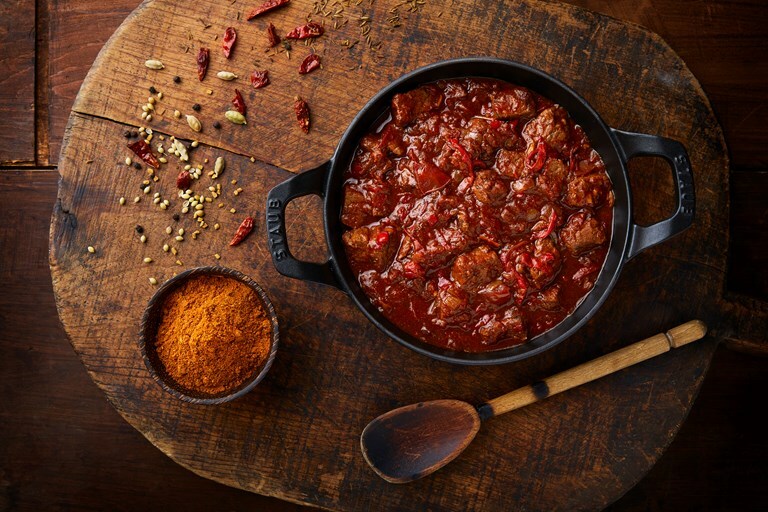 Zigni berbere is an Eritrean beef stew flavoured with berbere spice blend. Berbere is available to buy in shops, but you can't beat the intensity of a homemade batch. The stew is traditionally eaten with injera, a spongy flatbread made from fermented batter. The grain used is called tef and isn't widely available, so feel free to serve with regular flatbreads or rice instead.